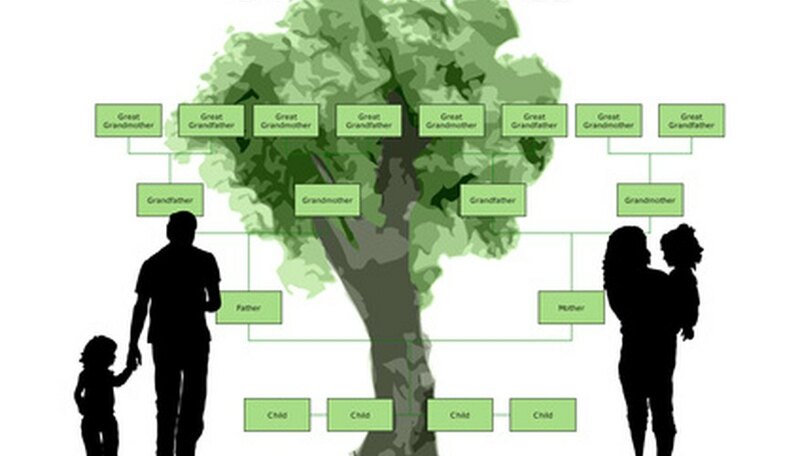 A family tree provides a graphic display of the genealogy of your family. Family trees come in all shapes and sizes and can include only your immediate relatives or multiple generations of family members. Whether you make a family tree on your own or with a software program, printing is often a struggle because of the large size required to present the tree. Fortunately, there is a simple way to have a family tree printed in poster size for display. Get online and access a photo printing company that meets your needs. These companies specialize in industrial-sized printers and make poster-size prints quickly. Placing an order for a print is relatively easy and affordable. Register an account with the photo company of your choice. Upload a digital file of your family tree. Most mass marketing printing labs only accept JPEG images. If the family tree is saved as another file type–the most common image file extensions are TIF, PNG, or GIF–it is simple to convert it to JPEG. Simply open the file and click "save as". A pop up menu allows you to change the file extension. Rename the file, save it, and then upload the new file. Select the size of the poster you want to print. Preview the final product to make sure the entire file fits on the ordered print size. Make any necessary changes. Click on "checkout" once you are satisfied with the changes. Input payment and shipping information to complete the order.